Approximately one in every 10 American adults lost money in a phone scam last year, resulting in more than $7.4 billion of stolen funds according to a recent report. But that’s just one kind of fraud scheme out there today. If you read “Catch Me If You Can,” or saw it in the theaters, you know that former confidence man Frank Abagnale played the U.S. government for four years. He posed as a doctor, a pilot, and an attorney, all while cashing millions in fraudulent checks. Below, we discuss a few common fraud schemes and how to avoid falling victim to them. With so much of our lives online, it’s easy to fall for one of these scams. Luckily, they’re also easy to spot because they usually play out by phone. Here’s how it works: someone calls saying that they’re from Microsoft, Windows or Apple, and they notify you that your computer has been infected with a virus that will put your files at risk. They will then typically instruct you to go to a website and follow their directions. You should never listen to their instructions — in fact, you should hang up immediately. Another common form of technology fraud occurs via email. If someone you don’t know messages you asking for money for help or promising a massive return on your “investment,” do not give them anything. Nor should you click on emails that are from someone you don’t know. Similarly, never open an unfamiliar link or attachment sent via email. All of these actions can result in your computer becoming infected with malware that will steal your personal information. Another common scam is fraudsters who pose as the IRS and call people to notify them of unpaid taxes. The caller threatens victims, saying if they don’t pay up, they will be hunted down and incarcerated. It’s an especially convincing scam because most Americans probably fear this very thing happening after paying taxes. But here’s the thing: “The IRS does not make house calls,” a spokesperson for AARP Kentucky says. If you want to learn more about how you can protect yourself or your loved ones, join the real Frank Abagnale, a fraud expert and author of “Catch Me If You Can.” Abagnale has advised for the FBI, major corporations, and large financial institutions for more than 40 years, bringing countless con artists to justice. 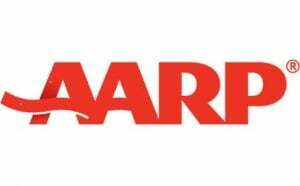 Teaming up with the AARP Fraud Watch Network and AARP Kentucky, Abagnale will be giving a free presentation on how to avoid identity theft on Oct. 12. To find out more information on the Louisville event, call 1-877-926-8300 or register online.